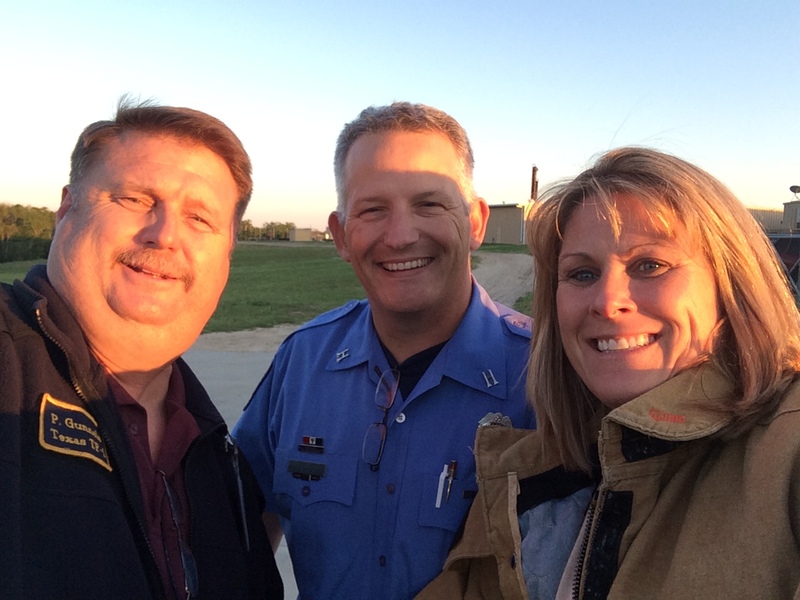 It is Week 9 of the Citizen’s Fire Academy and BRW Project Manager, Jen Bettiol, was at the renowned Brayton Fire Training Fields in College Station, Texas. 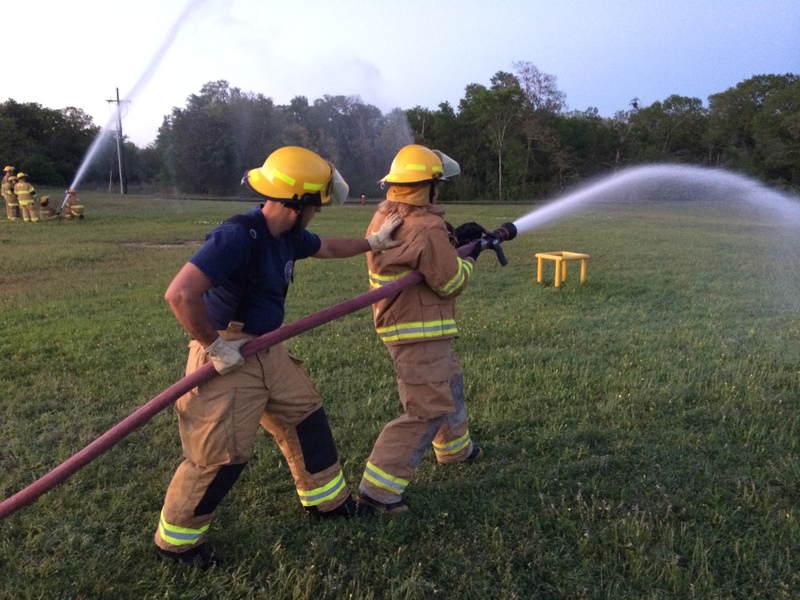 The course has consisted of several different demonstrations and training exercises firefighters regularly have to endure and this week continued to bring excitement! 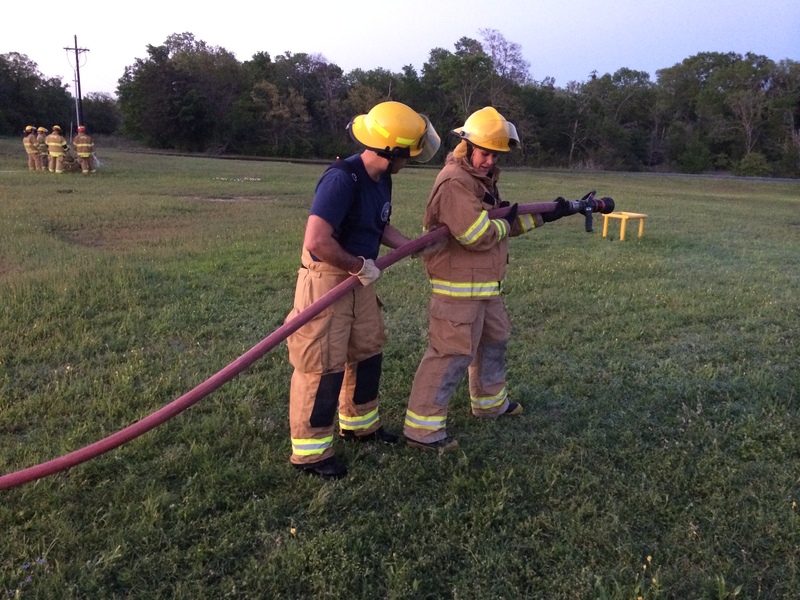 As part of “Hose Training Week”, the Fire Department kept the class busy working with 2 ½” lines, 1 ½” lines, hooking up to fire hydrants, shooting off water cannons on the CSFD truck and taking to the sky in the ladder truck platform. Jen was so excited about the exercise that she came back into the office the following day boasting about, “how great the view of the full moon was from 100 feet up in the air” and “how the guys really demonstrated their skills and capabilities and gave them a taste of some of the training they have to go through.” Stay tuned for more updates from the College Station Citizen’s Fire Academy! 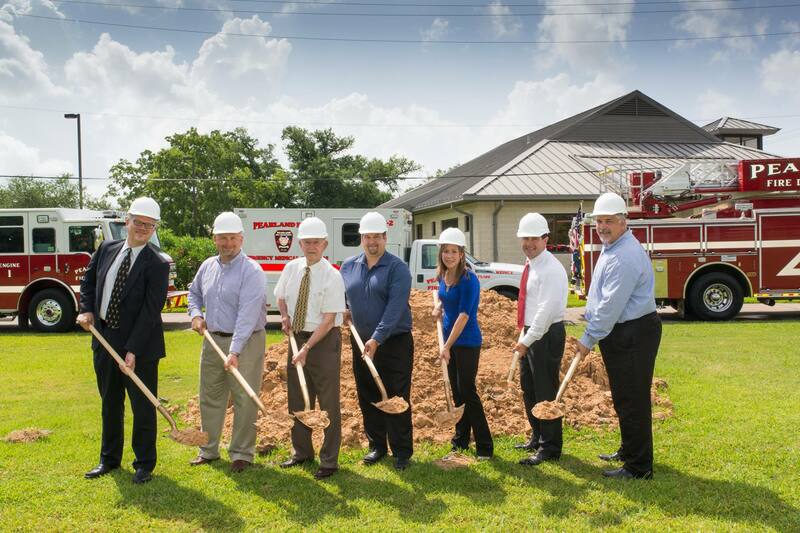 Located in the rapidly growing community of College Station, Fire Station No. 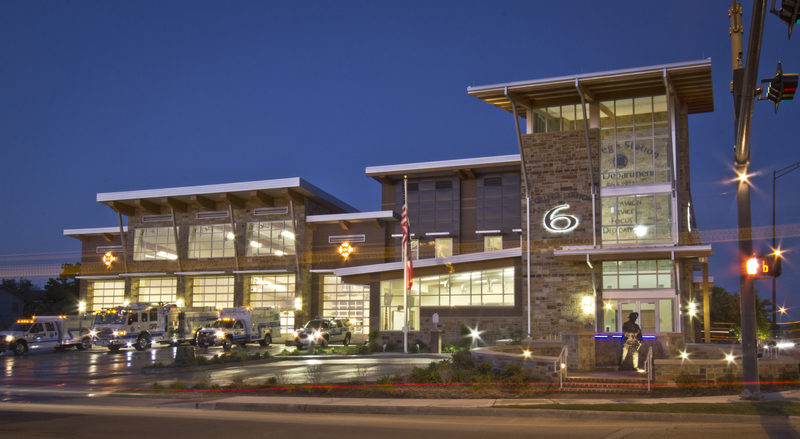 6 is sited on the main entry corridor to the City. 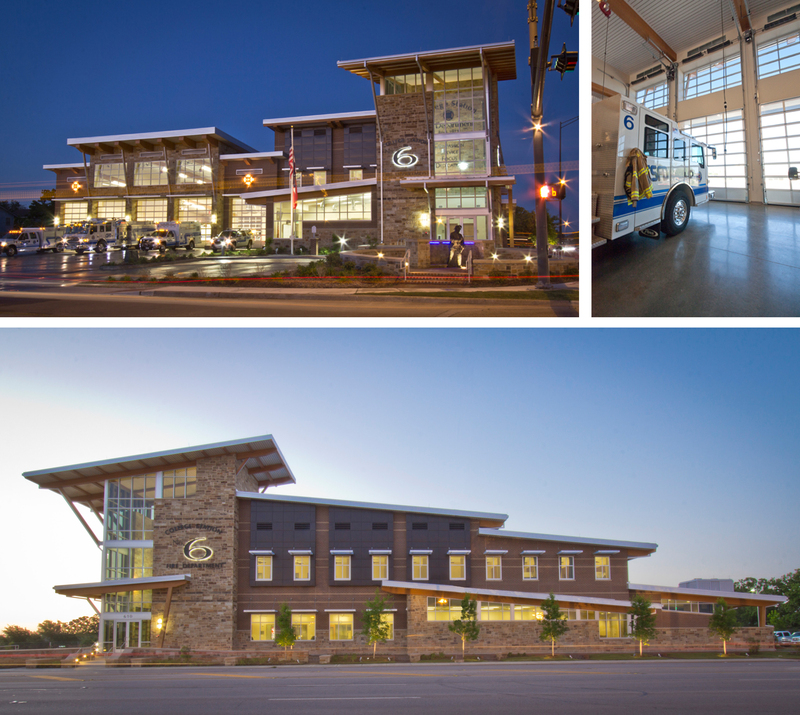 This 25,000 SF Design-Build facility is a landmark fire station for the City and the fire personnel traveling from departments across the country to one of the nation’s premier fire schools. 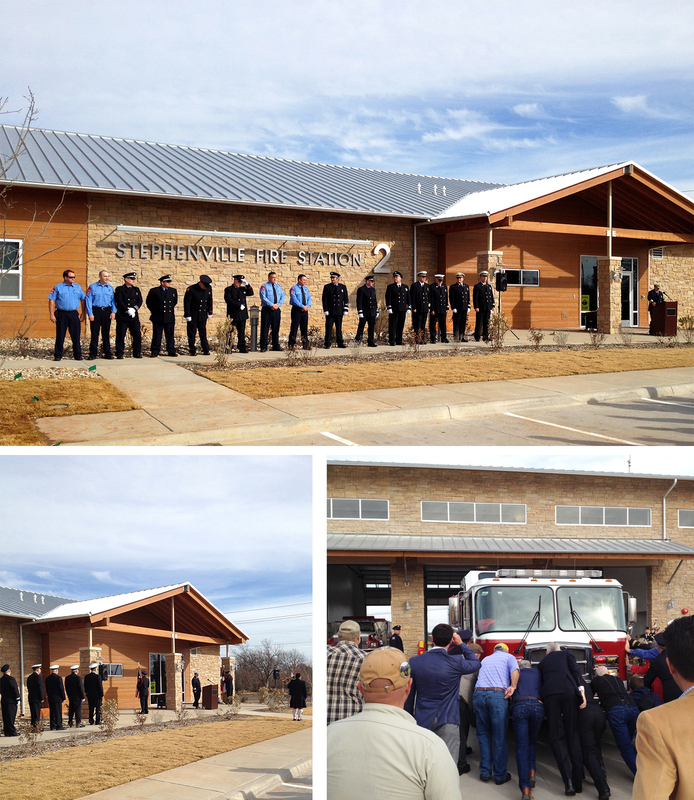 To meet the growing needs of the community, the new station was designed to accommodate 3 shifts of 14 fire personnel and house the largest of the department’s apparatus in the five 100’ deep apparatus bays. With an understanding of the need for balance between a home and work atmosphere, we carefully equipped the station with low maintenance, highly durable materials which promise to maintain its aesthetic quality for years. In addition to the bedrooms and bays, the floor plan consists of storage and office spaces, EMS storage room, bunker gear/laundry room, weight room, electrical/communications room, report-writing room, kitchen, dining room, day room, watch room, bathrooms with showers, a community/training room for staff training or community use, and a HAZMAT gear storage room. One of the challenges of the site were the remnants of a groundwater storage tank foundation, which had been there until the late 1990s. Record drawings, aerial maps and satellite imagery were used to help locate the abandoned infrastructure to ensure that any underground obstructions were cleared for the foundation construction. 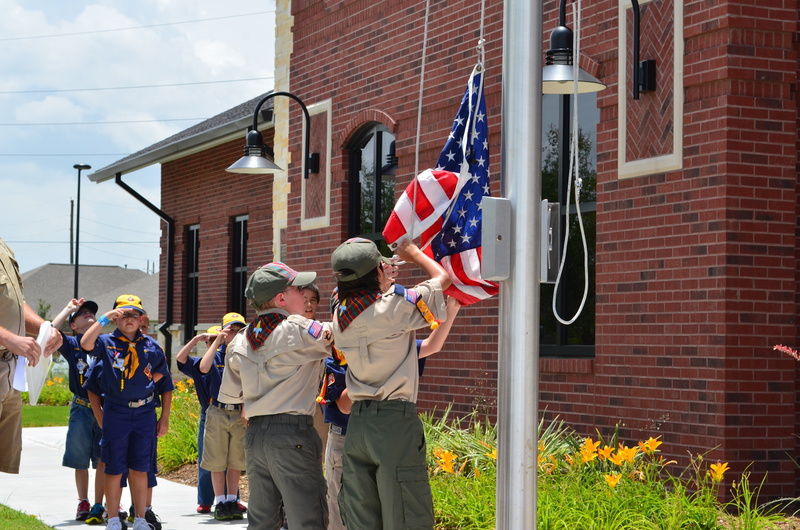 To address traffic control issues, the project team worked closely with the city’s traffic engineer and others to implement controls for the traffic control signal at University Drive and Tarrow Street. 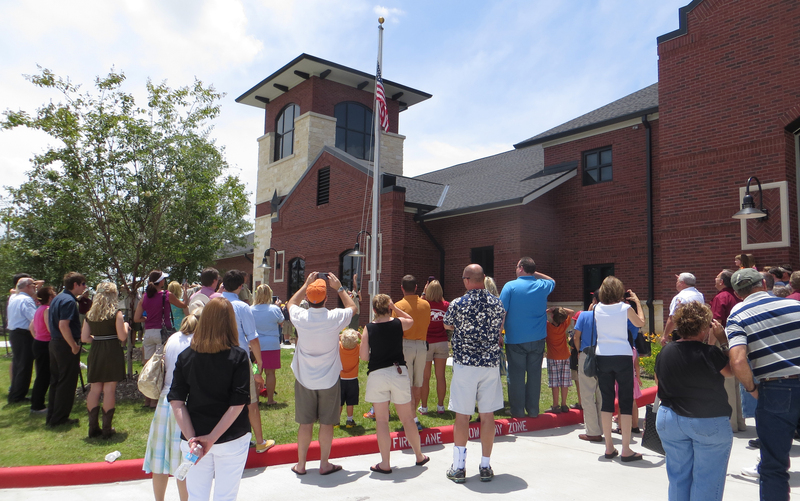 State-of-the-art equipment was integrated into the design of this station to maximize its function. 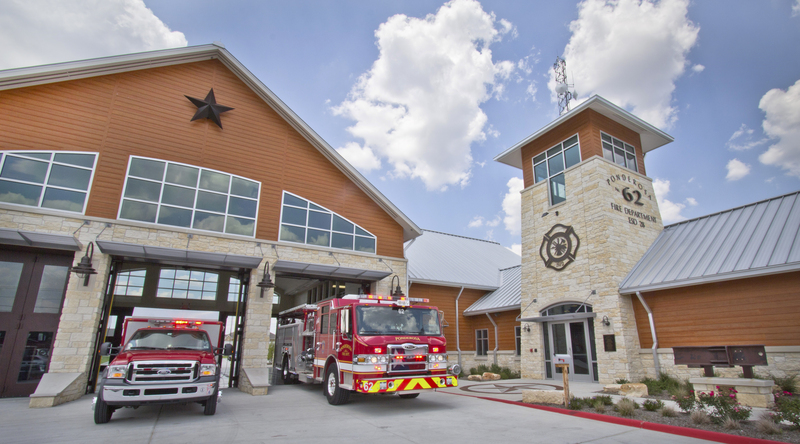 The custom alerting system ensures efficient notification of emergencies to the personnel, while simultaneously protecting the station by triggering a gas shut off valve to stop the flow of gas to appliances and the grill. 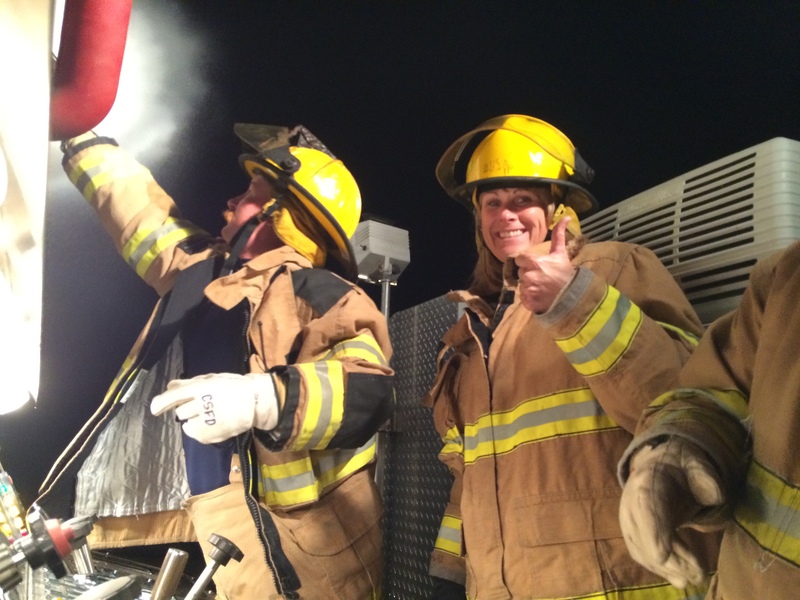 Timers are integrated into the exhaust system to allow for clarity of radio signal and ample air exchange within the apparatus bays. Override switches are integrated into the bay door design to ensure that the heating system does not run while the bay doors are open, thus reducing the operating costs of the station.